In the fourth part of the series on Ginza-based CSR activities being carried out by companies in Ginza striving to resolve social issues, we introduce the Nippon Kikan (=Tree Cycle) Project by Bunshodo, a company whose business activities includes creating office designs. We asked Tomonori Yamakawa who launched the project to celebrate the 100th anniversary of the company’s founding in 2012 about the secrets behind development of the CSR project. ─ I understand that Bunshodo celebrated 100 years since its founding in Ginza last year. When you look at our history and listen to stories of the more senior staff, it is quite apparent that our success in continuing business for 100 years is largely thanks to society. If we are to truly express the feeling of gratitude in a 100th anniversary project, we felt that a simple event would not suffice. At the first meeting, we decided first off that we would launch a large project that would let us give back to society. ─ Could you tell me the events leading up to deciding on the Nippon Kikan Project as the 100th anniversary project? Prior to establishing the company, founder Yasutaro Sato was involved in tree-planting efforts in Tenryu Ward of Hamamatsu, Shizuoka, that was his birthplace. Based on this, we considered whether or not there was some way we could make a contribution related to the forests. Initially, the idea was brought up of holding tree planting activities similar to the what the founder did as the 100th anniversary event. However, when we actually went and visited Tenryu Ward and other mountainous areas and talked with people involved in the forests and forestry industry, we learned that there is currently a greater need in Japan for finding new ways to use wood rather than actually planting more trees. The increasing use of imported lumber and new building materials in Japan has lead to a decrease in use of domestic lumber. Man-made forests in Japan are suffering from a negative spiral in which the wood doesn’t sell, the costs for managing the forests cannot be met, and the mountains fall into disrepair. We began considering if it would be possible to create means for using domestic lumber and timber from forest thinning mostly in cities to restore a positive cycle. We decided to launch an enterprise-style CSR project that would let us help preserve forests with a business model that links cities and forests. ─ What harm occurs when man-made forests are neglected? The trees grow and become overcrowded, blocking out the sunlight. This prevents photosynthesis in the trees, and they become thin and unable to lay roots deep into the ground. The quality of the lumber also decreases. Understory vegetation does not develop, leading to decreased water retention throughout the entire mountain that can results in dangerous landslides and other sediment disasters. It also becomes a difficult habitat for the various types of organisms whose food chain starts with the understory. When we actually went to see a forest that had fallen into such a state, we were at a loss for words. It was pitch black and roots were bare and sticking out like brooms. Such forests exist all over Japan. But the beauty of a properly managed man-made forest is breathtaking. ─ What types of activities are you pursuing in this project? As we undertake design and construction of office spaces, we have a certain pride as office design professionals. We want to use our knowledge and experience to create a movement to using domestic lumber and timber from forest thinning in office furniture and interior materials. Being a trading company, we had never previously planned our own office furniture and interior materials. For the Nippon Kikan Project, we signed a business tie-up agreement in May 2012 with Nishihour, a venture company that makes products using timber from forest thinning, in Nishiawakurason, Okayama (http://nishihour.jp/). Together, we launched the Kinowa series of solid office furniture using forest thinnings. Office furniture requires special specifications including a certain size and strength, so we provided advice on these points to create commercial products such as desks and flooring materials. We began an initiative to return 1% of profits from these products and other products made with domestic wood by manufacturers with which we were already partnered, to forest owners, via the Forestock Association (http://nishihour.jp/). ─ How has the response from customers been? Most clients have been companies with strong interest in environmental issues that purchased the products with the intention of expressing their concern for the environment through their office arrangement. In other words, visible expression of their CSR activities. However this means that our products are only purchased by companies that are already environmentally-conscious. Even though it is one of our CSR projects, our priorities are reversed if we are only trying to selling the products for a good cause and not broaden our customer base. To make it to the next step, we want to make products that are both environmentally-friendly and also focus on design and functionality points to gain interest from a wider range of customers. ─ You must have stable profits in order to continue this project as one of your businesses. It is only when you establish a project as a business that you create a framework for achieving ongoing support. Also, if we can prove that you can turn a profit with business related to Japanese lumber, more companies may try similar initiatives. Forest issues in Japan cannot be resolved with the business size of our single company alone. That’s why we want to serve as a model for potential successors. It’s also for this reason that we are trying to sell as much as we can (laughs). ─ Do you have a strategy for promoting sales? One reason why domestic lumber and timber from forest thinning does not sell well is the price. We often hear people say that “forest thinnings are surplus trees so they must be cheap,” but this is not at all true. Forest thinning trees must also be cut down with chainsaws and heavy machinery and hauled away and must undergo the same processing as regular trees to achieve a suitable shape for making products. Naturally this means a great deal of human labor, time, and cost. This is all reflected in the product price, so it must be relatively high. However, this is all irrelevant to the buyer. For the next product we reduce costs by using mill ends or optimizing production lines through collaboration with other companies. I want to bring the prices of our products down to a range that lets us compete squarely with products of other materials. I am sure that our new tiles made of mill ends from disposable chopsticks will be a hit this time around (laughs). ─ What approach do you use in carrying out the project? Our company’s resources are limited, so we are trying to pursue our project under collaboration with other companies. When we sense we have something in common, we actively approach from our end. Recently we’ve been having particularly good success though sudden collaboration proposals. For example, when we were stuck on maintenance methods for new flooring materials, I contacted Rinrei, a major wax manufacturer (http://www.rinrei.co.jp/), out of the blue. When we asked their advice, they showed interest in flooring made with Japanese cedar logs from forest thinning, and even agreed to do full-scale tests. When we wanted to reduce the costs of purchasing desk and table legs (made of steel), we contacted R.F. Yamakawa (http://www.rf-yamakawa.co.jp/), a furniture manufacturer with a mass production structure, out of the blue. When we suggested a collaboration, they said that they had been wanting to do something socially significant and immediately agreed. Now we have already proceeded to the prototype stage at a furious pace. I have another example that shows the extreme good luck of the project. When walking through Bakurocho in Nihonbashi, I happened across an outstanding office replete with wood elements that was the office of Good Feeling (http://goodfeeling.co.jp/), a video production company. We sent them an e-mail out of the blue asking them to show me around their office, and they were kind enough to invite me over to see it. They showed strong interest in our project, and within 1 hour of our meeting, we agreed on an exchange of goods, with us giving them flooring materials and them making us a promotional video in return. Four staff members came all the way out to Nishiawakura and spent 5 days on location filming. We were able to make an absolutely wonderful promotional video. By making the resolution of social issues a goal, we receive cooperation from various people outside of our business. I also get the sense that the relationship will eventually become linked to some sort of business. I also feel that I need to make that connection happen. As a trading company, we don’t have our own production facilities, so if we don’t bring different resources together, we are of no value. The same goes for CSR activities. Combining the resources of the different companies to change a project into a business with social value is the heart of a trading company’s CSR. ─ How do you feel about Ginza? We also have a strong feeling of gratitude towards Ginza. When we begin a new transaction with a company, many of its employees do not know the name Bunshodo. However, the fact that we have continued doing business in Ginza for 100 years earns us their trust. I think the background that people in Ginza take good care of their business to make it this far is visible. Our success is thanks to Ginza. That is why we want to repay our obligation. With everybody’s help, I want us to develop a corporate community in Ginza and collaborate together on social projects. The head office of Rinrei and a branch of R. F. Yamakawa, that were two of the companies I mentioned as examples of our collaborations, are in Ginza and are only a 2-3 minute walk from our company. Similar to these cases, I believe that other seeds for collaboration exist in Ginza, but there is no opportunity for them to grow. I want to create such an opportunity. If there are any other like-minded people out there, I welcome them to contact me at Bunshodo. They can contact us easily from the inquiry page on our Nippon Kikan Project website. I’m very serious. Joined Bunshodo after graduating from university. Previously worked in sales of various genres of products, including stationary, novelty goods, office furniture, and systems, and in the Corporate Planning Department. Alterna consultant Offers services in marketing communication, business strategy and new business development activities for foreign-affiliated IT companies, advertising agencies, and public relations firms. 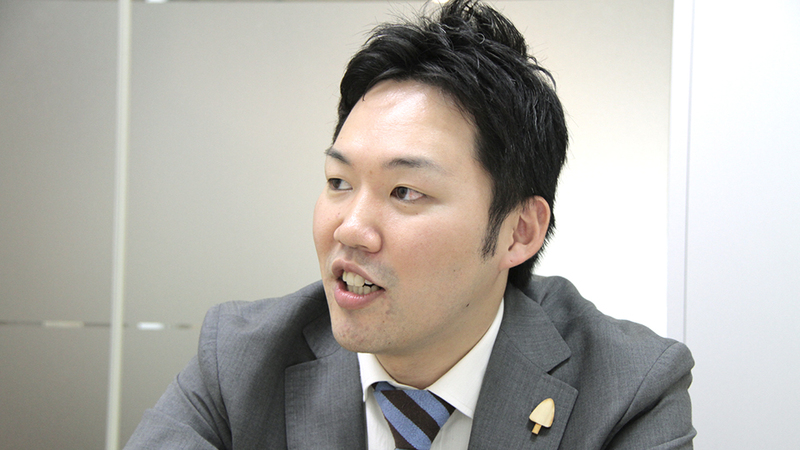 After going independent in 2008, Sugiyama now participates in educational projects for solving social challenges, assists cooperative alliances between companies and NPOs, and offers consulting for CSR activities and practical assistance.